It will lead to savings of as much as $18 million, predominately from leveraging combined infrastructure with duplicated resource rationalistaion and reducing outsourcing costs. These numbers are expected to be fully realised in 2020. The deal will also see Ooh!Media cease using the Adshel brand within three months of completion. The agreement was reached late Friday 22 June and details were leaked ahead of the official ASX announcement. AdNews understands that Adshel lured in the bidder with far better-than figures than initially anticipated. "Ooh!Media has a history of developing a diverse product portfolio to offer advertisers a range of audiences," said Ooh!Media CEO Brendon Cook. "Adshel is complementary to our existing portfolio and we are excited to be entering the new segments of street furniture and rail. "The digitisation opportunity in the Adshel business is expected to provide a significant avenue for further growth beyond what has been achieved to date." Adshel's strong position in digital furniture and growing presence in New Zealand are also factors in the deal, as Ooh!Media looks to bolster its footprint across the Pacific. The deal remains subject to approval by the ACCC. 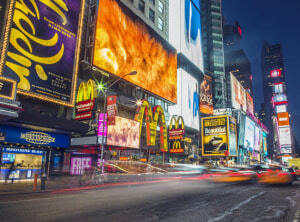 The Ooh!Media announcement comes at the same time that global out of home powerhouse JCDecaux has placed a $1.1 billion indicative and non-binding proposal to consume APN Outdoor. Talks about this proposal are thought to have advanced significantly over the weekend. Ooh!Media is set to enter a trading halt following a binding agreement to acquire HT&E-owned street furniture business Adshel. The deal is said to be for $570 million, which is a 21% leap from the company's original $470 million bid, and comes after APN Outdoor offered $540 million for Adshel.